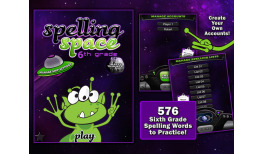 Learning Gems final section of its complete elementary spelling app sequence is Spelling Space - 6th Grade. 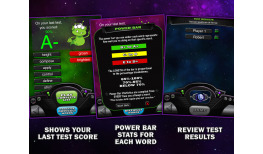 Designed for sixth graders, this particular app displays 576 high frequency words, pre-recorded. 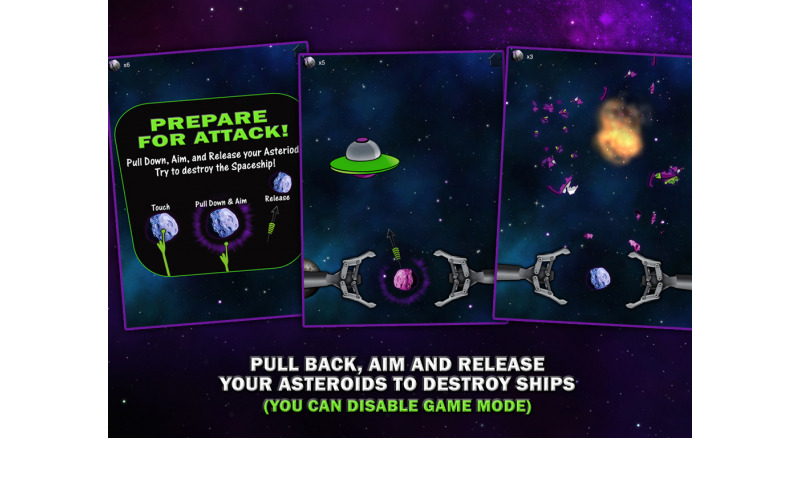 With the help of teachers, this educational app series is directly in-line with what student’s are learning in the classroom. The spelling words are listed and grouped together just like they would be in school. 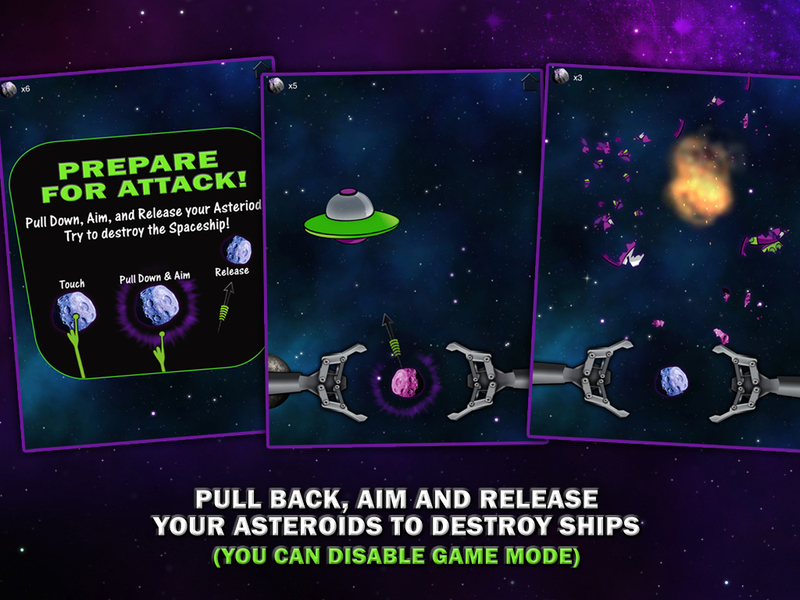 You can create different user accounts for each child, basing each account on the right level of difficulty. There are 29 spelling lists to divide to each separate account. After each spelling test, a grade is given. 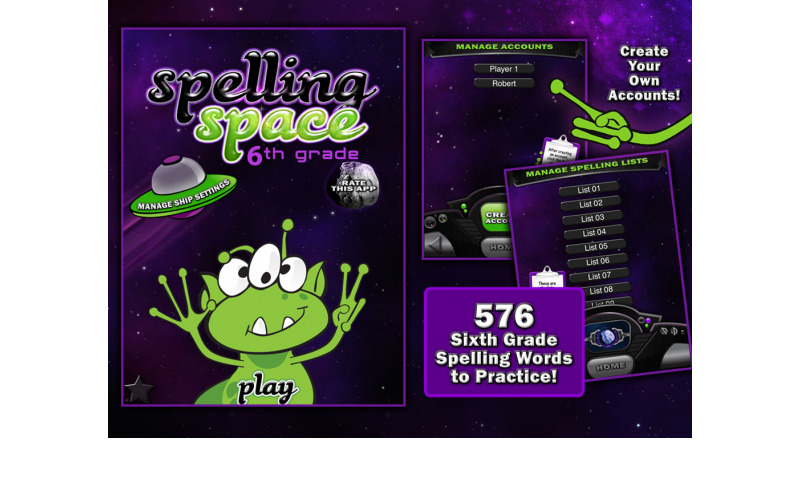 Watch your children progress and become a better speller all the while having fun!! Having fun is the best way to learn! For best audio quality, headphones are suggested. 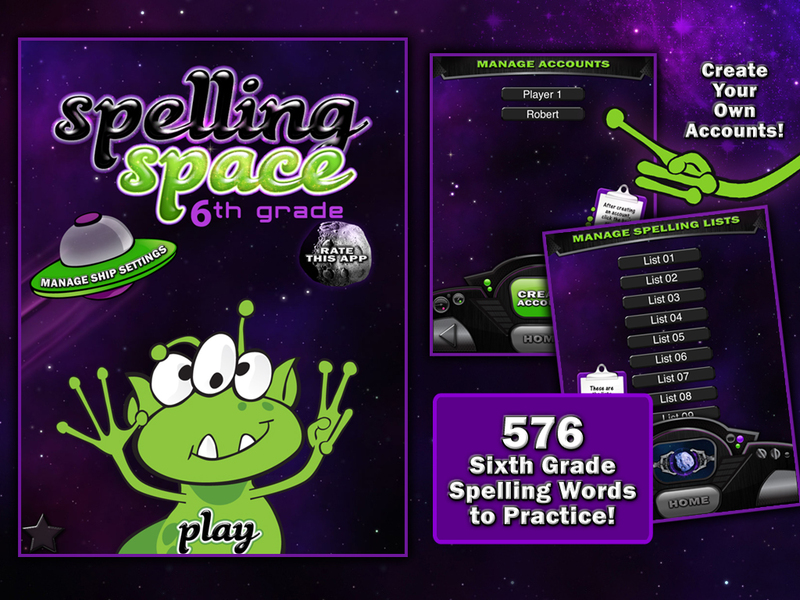 567 pre-recorded 6th grade spelling words included. Recorded by a real teacher! 29 spelling lists that display actual words given to 6th graders by their teachers!! You can review every list before taking a spelling test. 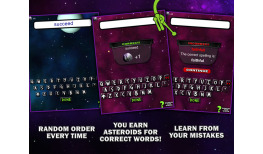 Advance younger children’s spelling abilities with this educational app! This spelling app makes learning to spell fun!! 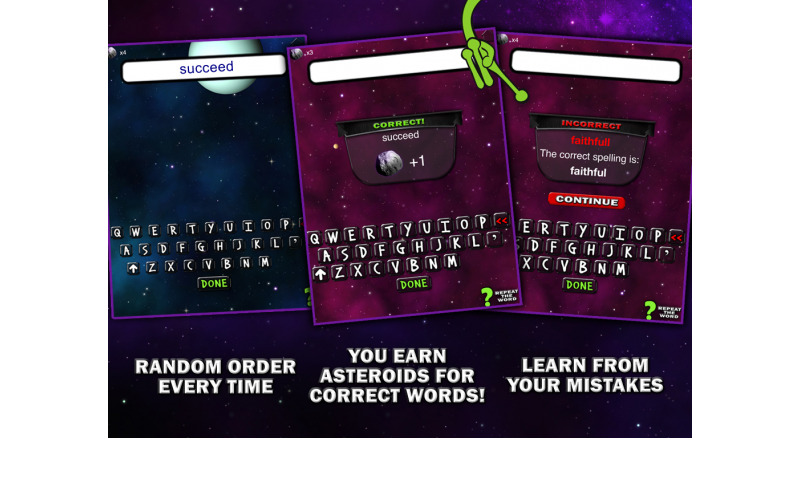 Earn asteroids when you spell words correctly- at the end or intermission of game, fire asteroids at spaceships!! 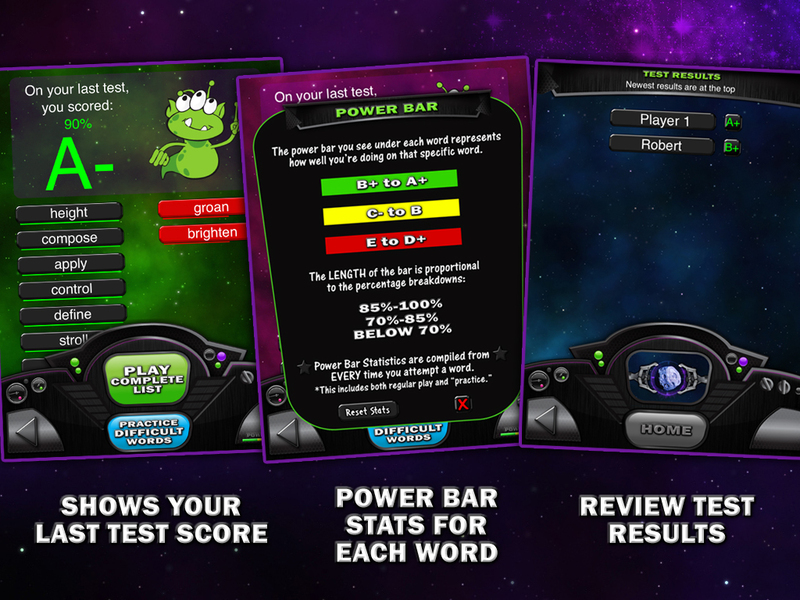 Calculator accurately determines grades after each spelling test taken! Create an unlimited number of accounts. Practice an entire list or turn focus to the words children are struggling with. View a report about each spelling list and a grade for each completed list! 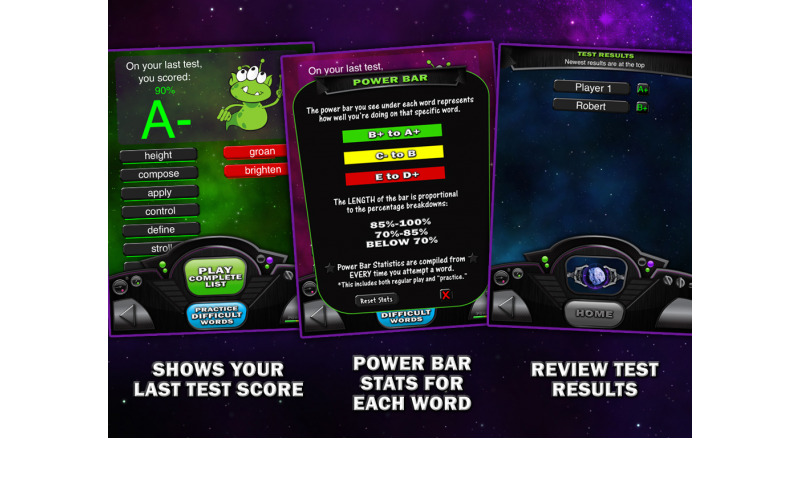 Statistics are displayed with a power bar based on the amount of times a word is spelled. 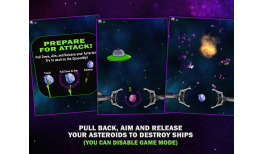 Colorful, entertaining space alien graphics! A fun approach to spelling!! 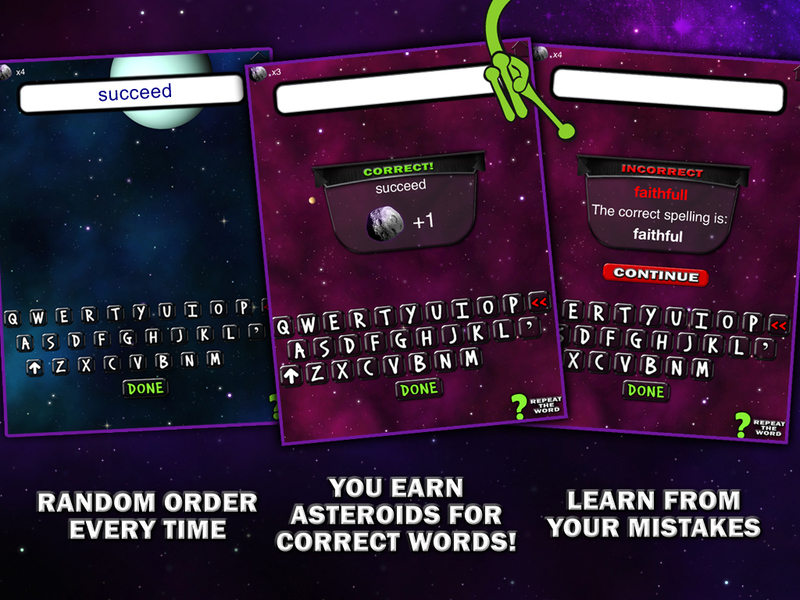 Parents can actually see the progress their children are making in their spelling grades! !